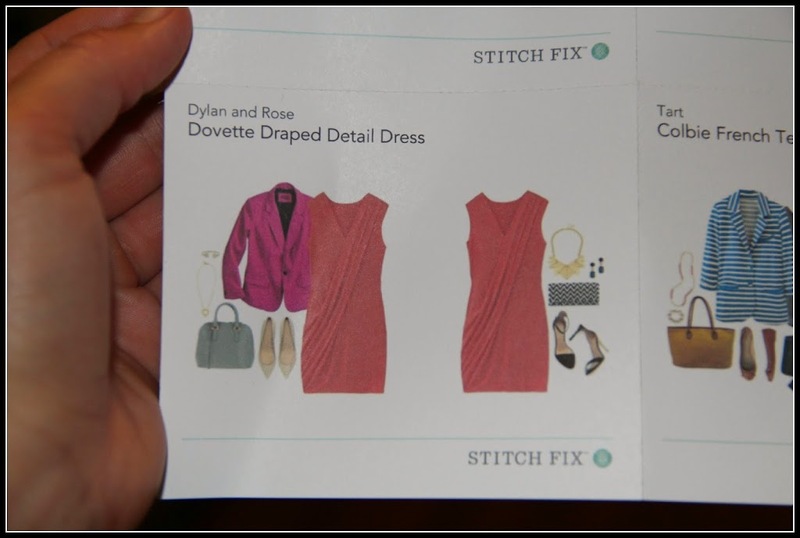 My third stitch fix arrived this past weekend! 1) Sign up <– use my referral link! 6) Keep all five items and receive 25% off! To sign up, you pay a $20 styling fee. You can sign up for just one “fix” and then quit. There is no commitment to continue buying “fixes” or to buy anything at all! However, if you decide to buy something from your fix, the $20 styling fee will be deducted from the price of your clothes. If you don’t buy anything, your out-of-pocket expense will be a mere $20. It has been a few months since my last fix, but I had some referral credits (thanks to you guys!) that I needed to use up, so I decided to get a “fix” for the summer. So, let me share what I received! My first item was a Kaiya Solid Belted Dress. It looked cute on the style guide. …But it wasn’t so cute on me. My style is a little more preppy or tailored, and this dress was more of a loose, flowing look. It didn’t work on me, and wasn’t flattering on my body type. C’est la vie. But not on me. Another dress, another fail…The color and the cut were not flattering for me. Okay, two fails…I was starting to get a little worried! But alas, I found the perfect blazer in the box! The Colbie French Terry Striped Blazer. This blazer was way more me! I definitely liked this blazer. I never feel like I have enough blazers, right? They always make an outfit look more finished and professional. 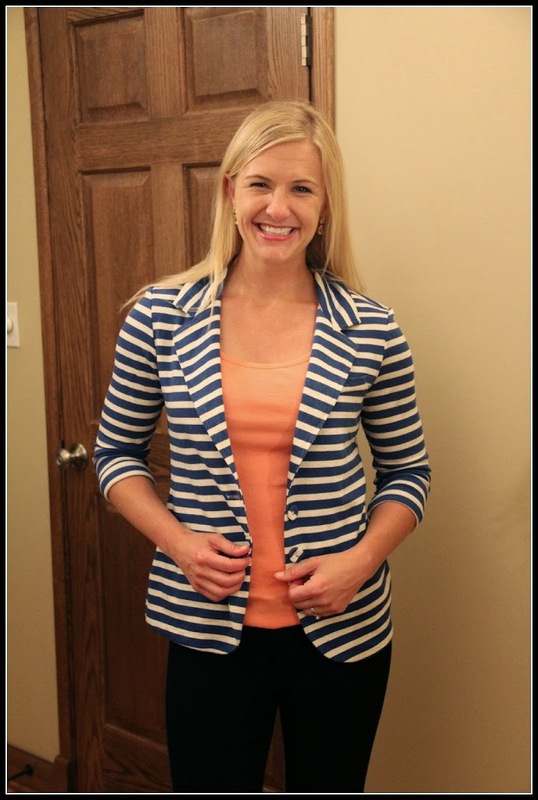 I do already have a navy/white striped blazer (HERE) but this one was slightly different…and I loved it! 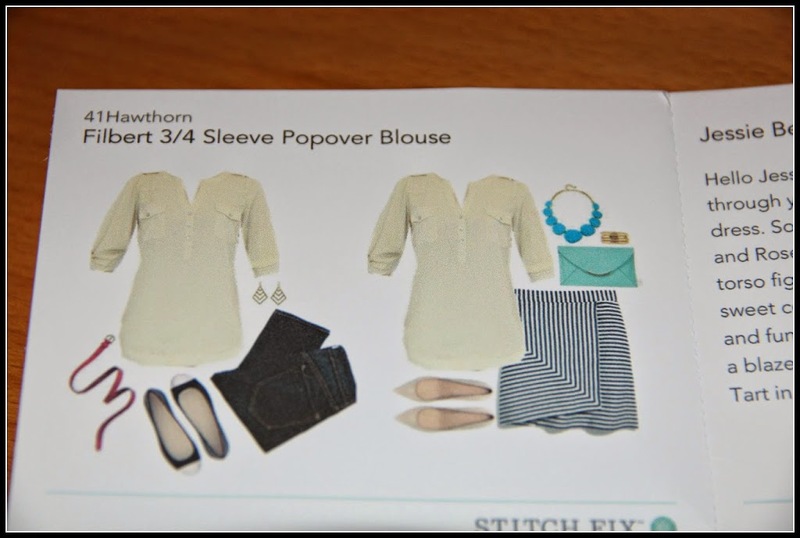 The fourth item in my Stitch Fix was a white Filbert 3/4 Sleeve Popover Blouse. This shirt was simple, but I feel like it will be a pretty versatile addition to my wardrobe. Nothing too fancy, but I liked it. 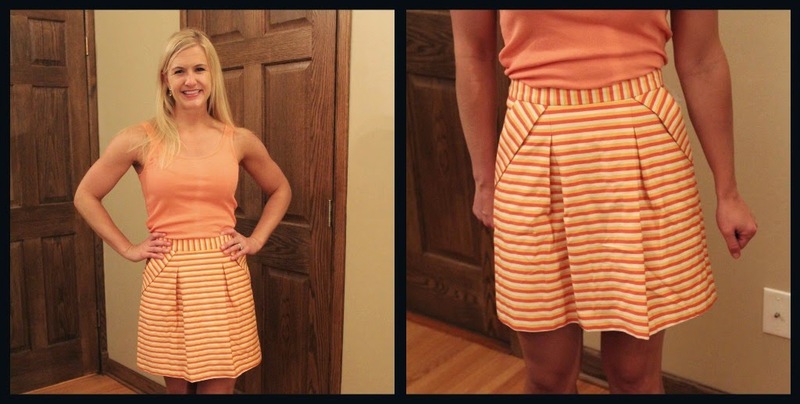 And the last item in my fix was a Halia Striped Pleated Skirt. I loved the stripes and the colors. It was a little wrinkly from being folded in the box, but otherwise I really liked it (and the pockets). So three out of five items isn’t so bad. 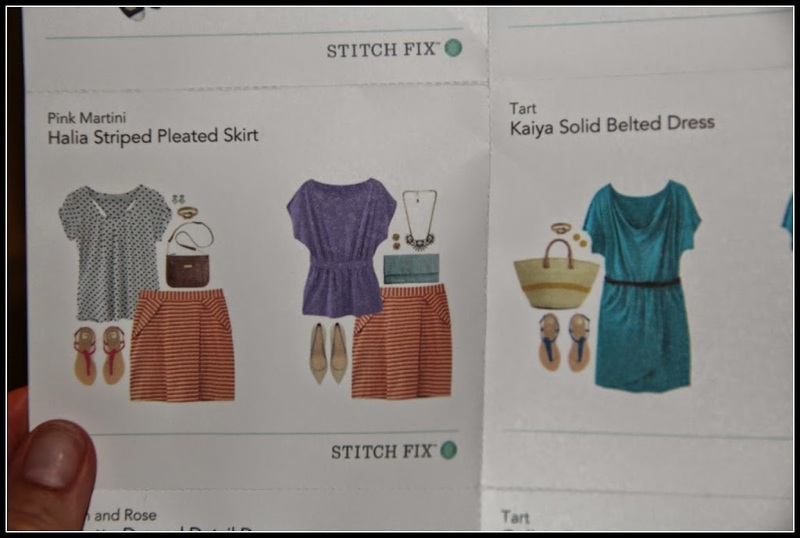 The dresses were a fail for me, but the three other items are ones I am pretty excited about, so overall Stitch Fix was a positive experience. 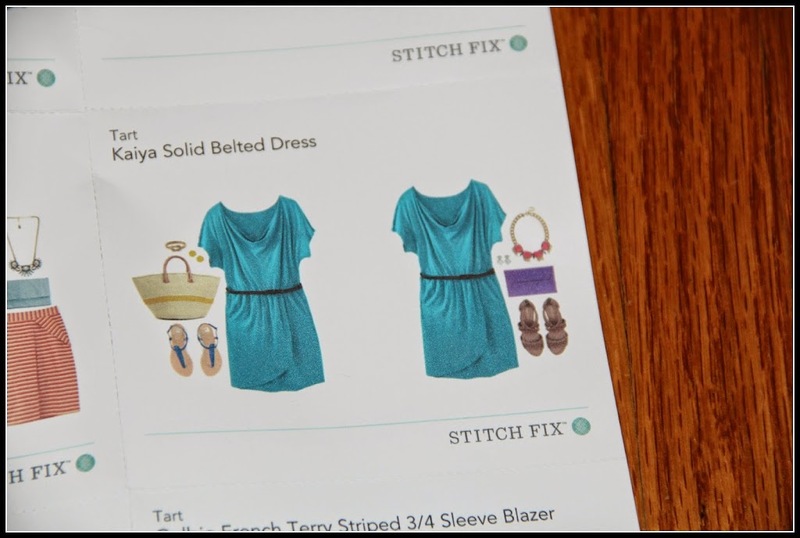 I recommend Stitch Fix as a fun way to add some new items to your wardrobe- items that you may not have picked out for yourself. 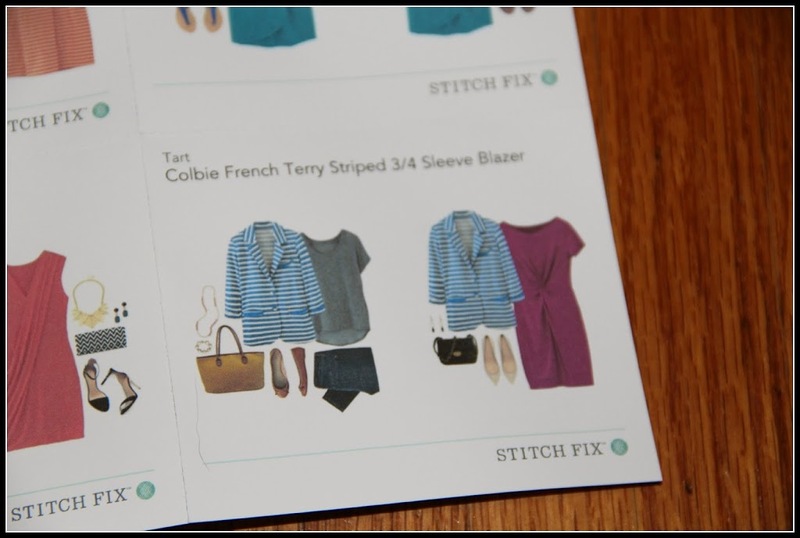 Want to know more about Stitch Fix? Let me know if you have any questions! I’m happy to help.